lorida Gov. 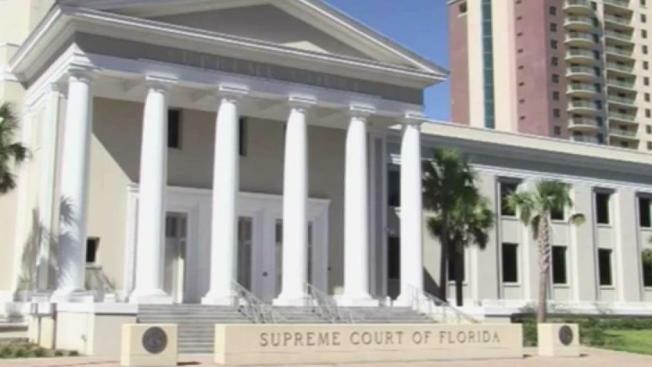 Rick Scott on Tuesday moved ahead with plans to replace three justices on the state Supreme Court who are being forced to leave early next year due to age restrictions. The three justices who are departing are often part of a majority that has ruled against Scott and the Republican-controlled Legislature. Age limits are forcing the three justices to retire on the day Scott is scheduled to leave the governor's office. The three justices who are departing are often part of a majority that has ruled against Scott and the Republican-controlled Legislature in recent years. Scott asked a nominating commission to spend the next 60 days to come up with a list of replacement candidates for Justices Fred Lewis, Barbara Pariente and Peggy Quince. He said that this would ensure that the court would avoid any vacancies. "Beginning the process to fill these vacancies right now follows the practice of previous governors," said Scott in a statement. "Florida's Supreme Court is so important to Floridians, and we will work together to select the most qualified justices to faithfully serve our state." But there have been mounting questions as to whether Scott — or his successor — should have the right to appoint the next the three justices. Scott can't run for re-election due to term limits. Age limits are forcing the three justices to retire on the day Scott is scheduled to leave the governor's office. The state constitution requires judges to step down at 70 unless their terms are nearly completed. Scott has previously said he planned to name the three new justices the morning of his departure. The Florida branch of the League of Women Voters and the government watchdog group Common Cause last year filed a petition with the court saying Scott's successor should make the appointments. The Supreme Court said it could not rule, however, on something that hasn't happened yet. In an effort to possibly avoid litigation, Scott's office said that he would allow whoever wins the election in November to interview the finalists for the court. The governor would then attempt to reach an agreement on who to pick. Outgoing Gov. Lawton Chiles and incoming Gov. Jeb Bush reached such an agreement in 1998. The main nominees for governor are Democrat Andrew Gillum and Republican Ron DeSantis. Neither candidate had an immediate reaction to Scott's proposal. DeSantis, a former Congressman who has worked as an attorney, said during a debate this summer he intended to pick the three new justices if he were elected. Scott's push to name justices could also be complicated by his run for U.S. Senate against Democratic incumbent U.S. Sen. Bill Nelson. If he wins, Scott could be forced to step down as governor a few days before his term as governor ends. That's because Congress — at least for now — is scheduled to start its 2019 term on Jan. 3 — before a new governor is sworn into office on Jan. 8.